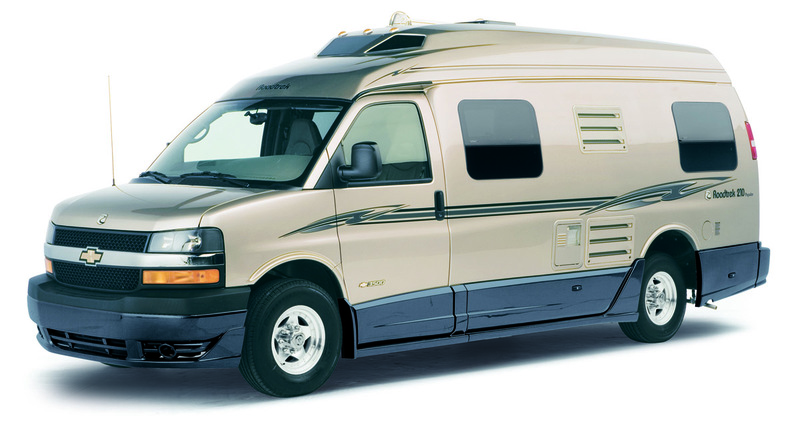 These vehicles are sometimes known as camping van conversions because they typically start as a full-size van from Ford, GM or Dodge and then have an RV interior and hardware installed inside the stock body. On the plus side, these rigs are easy to drive and park, are readily serviced by any dealership and can serve as a family’s second car for day-to-day chores. They often can achieve significantly higher fuel-economy figures than their full-size motorhome cousins, a fact especially true for rigs built on the Dodge Sprinter van. On the downside, they’re quite expensive for what you get — and interior and storage space are limited by the van body size. Some of these rigs feature extended fiberglass tops that create more interior space and headroom, while others have a fold-up top that adds headroom when parked and improves aerodynamics when driving.